[toc]Cough is one of the many health ailments that are equally faced by people from all age groups and that too irrespective of the sexual orientation. It is a common mass illness and one that can lead to serious conditions if not treated on time. Though, it is not a serious health hazard, it is definitely one that affects the body functions and brings along discomfort that prevents you from leading a normal life. This list below has some top notch and well reviewed home remedies for coughs that can help you in the long run for proper and safe treatment. It helps in giving visible results once you follow it with due diligence. 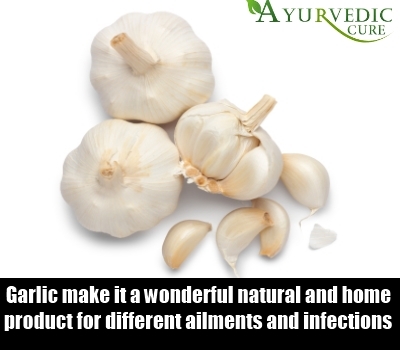 The antibacterial and antimicrobial properties of garlic make it a wonderful natural and home product for a lot of different ailments and infections. One such issue that garlic treats is cough. About two to three fresh cloves of garlic can be boiled in water to which some oregano can be added. Bring it to the room temperature and add some honey to it. Now drink this liquid to alleviate cough. Crushed garlic with clove oil and honey can also be consumed to get good outcomes. Use it is various dishes throughout the day to maximize the benefits. 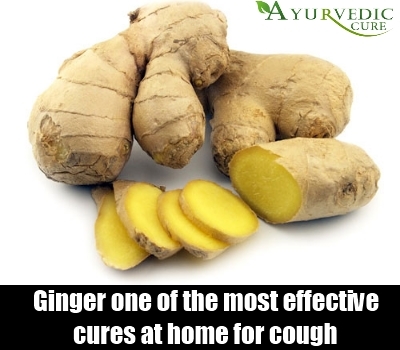 One of the most effective cures at home for cough comes in the form of ginger. Take some crushed slices of ginger and put them in boiling water. This should be cooled down a little and then sipped slowly to get instant relief from cough. Following this daily until the problem subsides will give you a lot of comfort. It can be taken at leas 4 times in a day which also helps in treating congestion. A raw piece of ginger can also be chewed for the purpose. For those who are facing dry cough issues, one of the boons of home remedies comes in the form of a combination of hot milk with raw and organic honey. It also helps in reducing the pain in the chest that tags along with the cough. It should be taken before hitting the bed at night. Honey can also be consumed individually in the measurement of one teaspoon to clear the mucus in the throat that usually causes the cough. 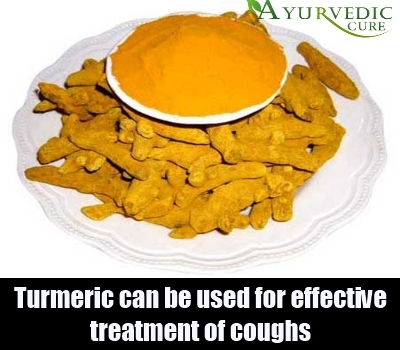 A product straight from the kitchen racks that can be used for effective treatment of coughs is turmeric. A teaspoon of turmeric and the same amount of carom seeds can be boiled in a cup of water till the amount of liquid becomes half. This should be cooled a little and then some honey should be added before consuming. Have this liquid 3 times a day to get excellent outcomes. Turmeric root can also be made into powder and mixed with water and honey to reap the benefits. An easy way out of the ailment of cough and that too at home is to eat grapes. It improves the conditions and treats the inflammation of the lungs thus curing the cough problem considerably. Grape can be eaten raw or fresh grape juice can be consumed. A little of honey can be added to the latter to increase the advantages of the liquid on coughs.